Hot Toys have officially introduced the collectible figure that many fans and collectors have been longing for – the spectacular 1/6th scale Hulkbuster Collectible Figure! 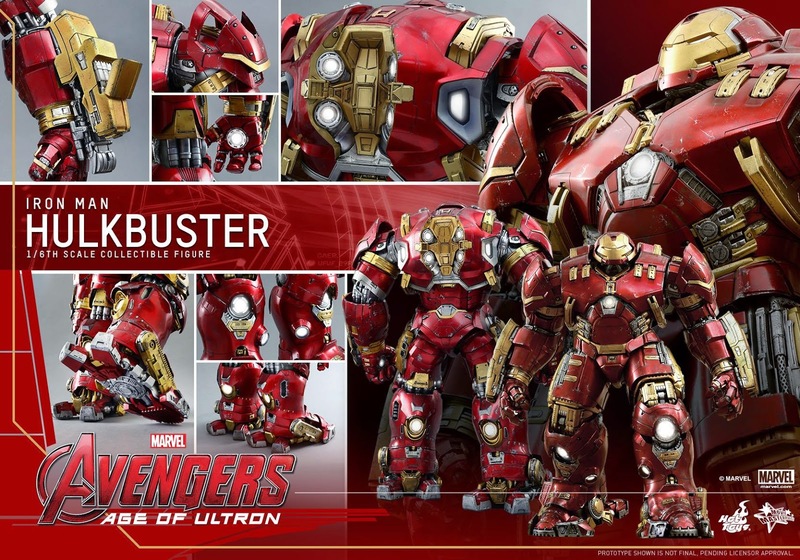 The movie-accurate collectible figure is specially crafted based on the image of Hulkbuster in Avengers: Age of Ultron. 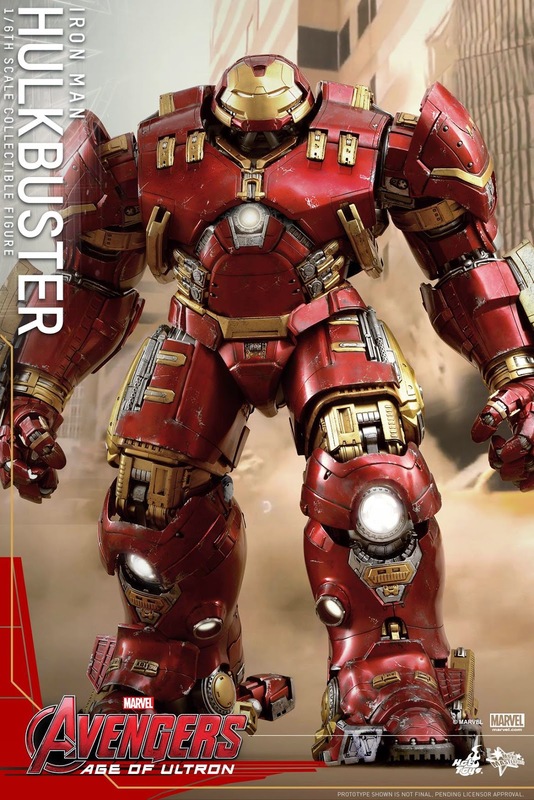 This colossal figure stands approximately 55 cm (21 inches) tall, featuring a Mark XLIII bust inside the Hulkbuster with LED light-up eyes and arc reactor on chest. The metallic red, gold and silver armor with weathering effect, and over 16 LED light-up areas in the eyes, chest, repulsor palms, back, and legs. SPECIAL FEATURESMARK XLIII BUST INSIDE THE HULKBUSTER WITH LED LIGHT-UP EYES AND ARC REACTOR ON CHEST. THE METALLIC RED, GOLD AND SILVER ARMOR WITH WEATHERING EFFECT, AND OVER 16 LED LIGHT-UP AREAS ON HULKBUSTER.